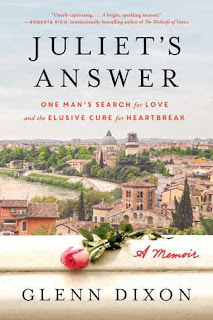 This memoir tells the amazing journey taken by Glenn Dixon, a school teacher, from Canada, who volunteers to read and respond to letters written to Shakespeare’s Juliet while visiting Verona, Italy. These letters are filled with vulnerability, suffering, loneliness, and sometimes despair, of those who have lost love, are broken hearted, or simply unsure if what they are feeling is the real deal or a passing attraction. At first Glenn struggles with his responses to these letters, but soon finds himself pouring his heart into his careful and thoughtful answers on behalf of Juliet. But, he also finds the work cathartic as he struggles through his own unrequited love situation. 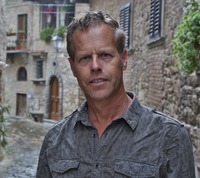 The Dixon’s narrative switches back and forth between this time in Verona and the time he spends with his students, teaching them the finer points of Romeo and Juliet. Romance and love is messy, it’s complicated, painful, filled with angst and uncertainty, but it’s also the one thing we wish for above all others. Glenn’s story is filled with such raw and poignant emotion, while touching on the human condition and mysterious ways love manages to find us when we are least expecting it. I loved Dixon's teaching style, his connection with his students, his love of literature, and his openness as he recalls the pain of lost love, the lessons life teaches when we are at our lowest points, and how to rebound from that by applying the wisdom we acquire along with way and letting life work things out the way they are intended to be even if it’s exactly how you thought things would end up. 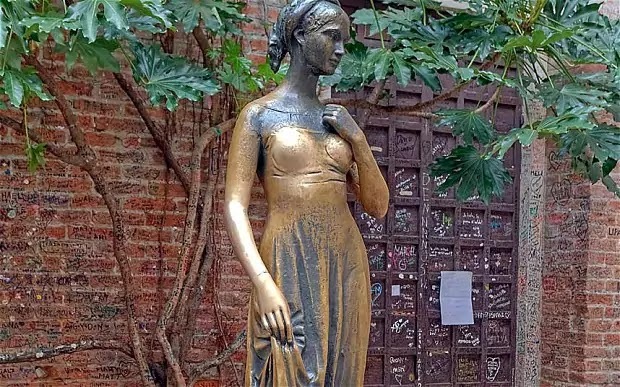 I loved the history of Verona and the virtual tour Glenn took me on, highlighting locations and monuments closely tied to Romeo and Juliet. The setting created the perfect backdrop for this story. The letters were reminders of the various ways love touches us, the insecurities it draws out, the fear love will pass us by, but the story also offers a resolution, offers hope, exuberance and peace, and the assurance that love will find you in its own time. While the book is very light and easy, it also left me pondering the miracle that is love. Watching Glenn find the happiness he felt was so elusive is inspirational, charming, and heartwarming. I was delighted by his story and I’m glad he chose to share it with us. Glenn Dixon's latest book is "Juliet's Answer" (Simon and Schuster, January 2017). 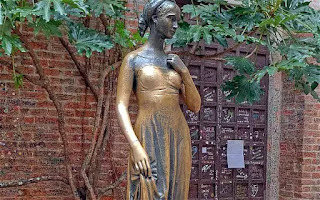 As the lone male secretary at the Club di Giulietta in Verona, he answered the real letters to Juliet and he learned something of love, of Shakespeare and of the sun splashed hills of this ancient Italian city. Like a cross between Bill Bryson and Malcolm Gladwell, Dixon has written travel articles and cultural pieces for National Geographic, the New York Post, the Globe and Mail and Psychology Today. His first book was Pilgrim in the Palace of Words: a journey through the 6000 languages of Earth. He lives and works in Calgary, Canada.